At Brightleaf Dental, we believe in holistic dentistry, the whole health approach to oral health. We use this approach to treat oral health and dental problems, neuromuscular issues (TMJ) and sleep disorders in adults and children. At our office in Santa Monica we use natural products and homeopathic remedies for dental relaxation and pain control. We believe in avoiding drugs or equipment that might be harmful to the rest of your body whenever possible so that we can do our part to ensure your overall well-being. Homeopathy is part of our holistic approach. Many people confuse the terms “homeopathic” and “holistic” but they actually mean rather different things. 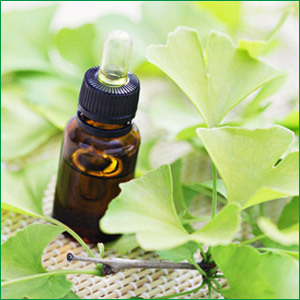 Homeopathy is a unique approach to healing that’s based on the principle of “like cures like.” Unlike traditional medicine, which is called allopathy and attacks symptoms by using drugs that are supposed to oppose them, homeopathy involves treating symptoms with small doses of medication that would cause the symptoms if given in larger doses. This method is proven effective, and usually involves natural substances. We use Bach Flower Remedies for dental relaxation and pain relief, as well as oregano oil and olive leaf extract to control tooth decay and infection, and arnica to promote healing. In addition to natural remedies, we offer composite fillings that are not made of metal and contain no mercury. We can also safely remove your metal (amalgam) fillings and replace them with composite fillings. We use digital X-rays to reduce exposure to radiation, and we use bio-friendly materials. We know that dental fear often comes from fear of pain and the side effects of typical drugs used to prevent pain or sedate patients before dental procedures. When you come to our office, we first make you comfortable. We will discuss your personal situation and help you decide on a course of treatment. Whether you come to us for cosmetic dental services, restorative procedures, orthodontics or any of our other dental and oral health services, we are committed to providing you with quality service in a comfortable environment. If you have questions or would like more information about our holistic dental services and homeopathic remedies, contact our office for a consultation appointment with our dentist, Dr. Ana Brightleaf.